139,23 € * inkl. gesetzlicher MwSt. There are currently very few mandatory requirements for transferring products to another manufacturing location. The WHO describes this transfer of technology as "a logical procedure that controls the transfer of any process together with its documentation and professional expertise between development and manufacture or between manufacturing sites". A product transfer is first and foremost a transfer of knowledge. 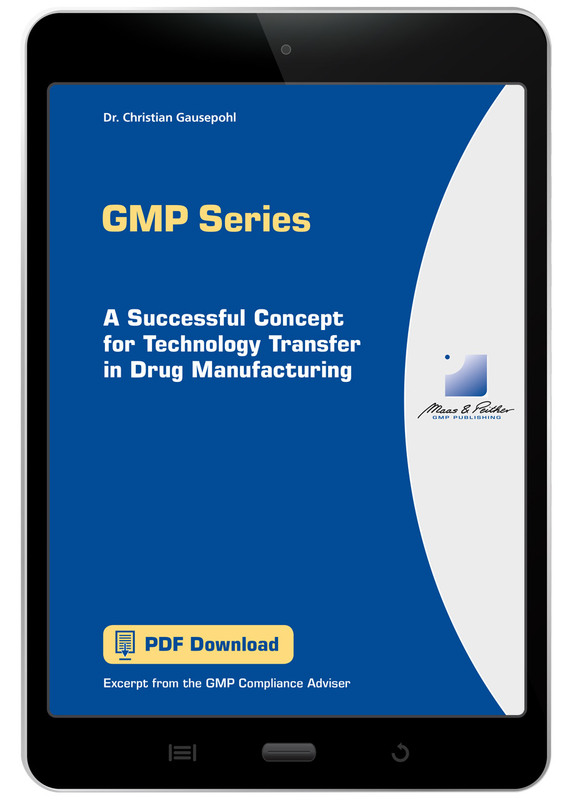 The larger the volume of data and information provided to the contract manufacturer, the smaller the risk of unsuccessful attempts or failure of the transfer. Therefore, the documented knowledge and experience gained during development and manufacture should be passed on in a systematic way. A Successful Concept for Technology Transfer in Drug Manufacturing covers all aspects you have to consider when transferring - including an example of a transfer plan you can directly work with!